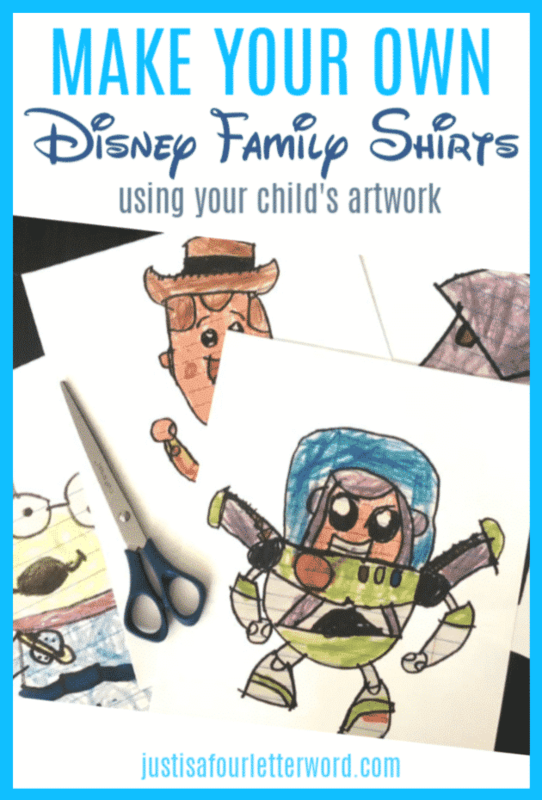 Everything you need to know about making or buying Disney family shirts! 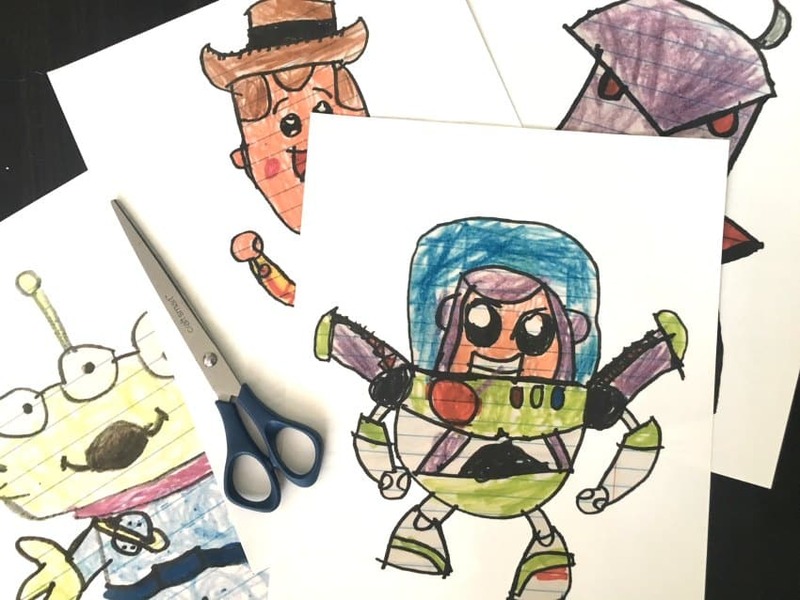 Make them using your child’s artwork for a trip to Disney, Toy Story Land or even a birthday party with this DIY Toy Story Shirts tutorial. Or if you don’t have time to DIY, here are some great options to buy! 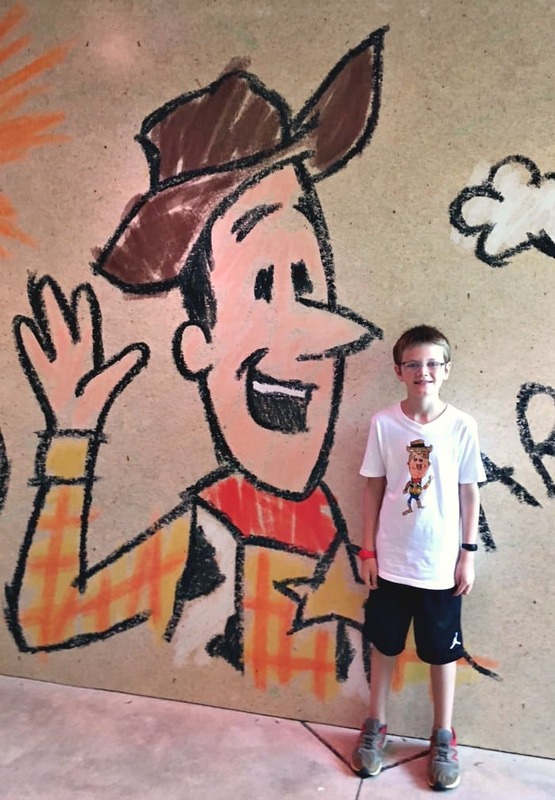 We are SO excited for the opening of Toy Story Land at Disney’s Hollywood Studios and feel so lucky that our trip dates ended up being during opening week! I’m always on the hunt for what to wear to Disney and I especially wanted something fun for this bright and colorful new land. 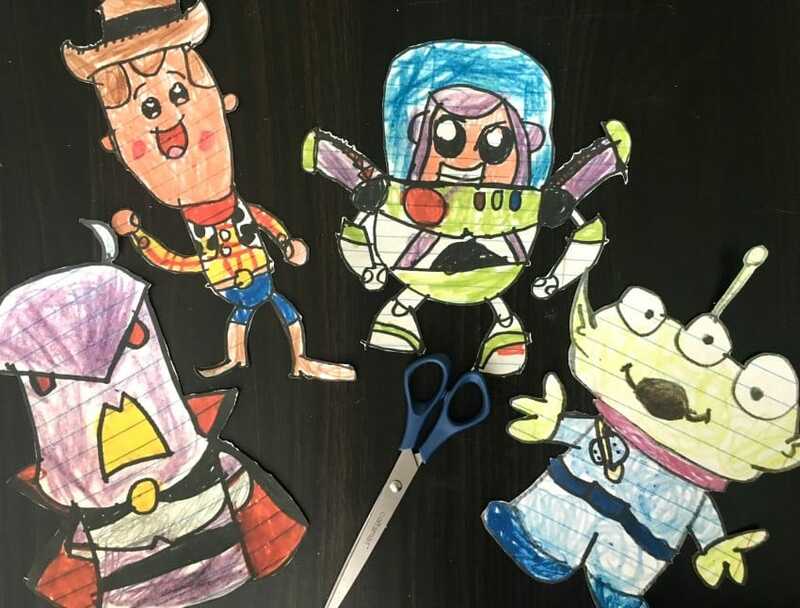 My youngest, Calvin has been loving drawing lessons on Art for Kids Hub and over the past few months, started drawing Toy Story characters using their tutorials. 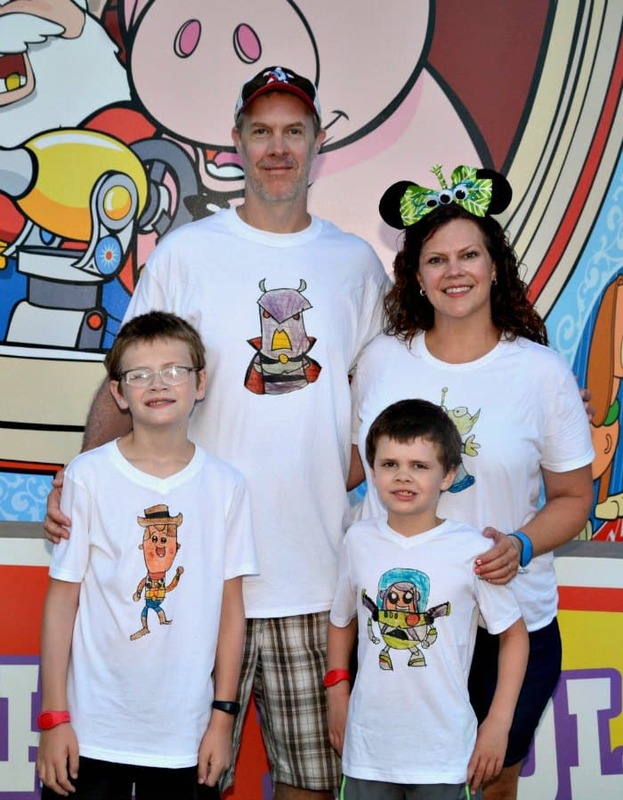 I fell in love with his artwork and thought they would make the perfect Disney family shirts! 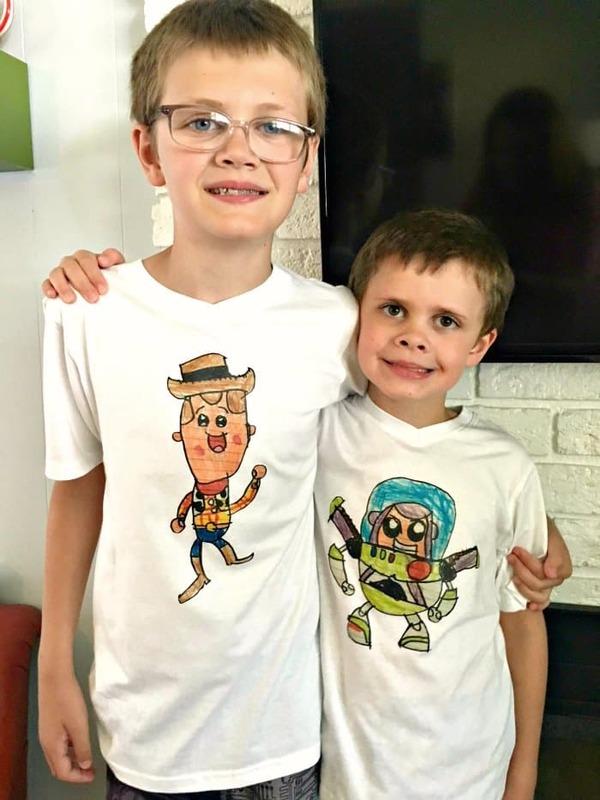 These Toy Story Shirts were so easy to make. I’ll show you how we made them and how you can too. And really, you can do this with any of your child’s artwork! The possibilities are endless. *This post contains affiliate links, which means I may earn money on purchases made with my links. Step 1: Create your artwork. 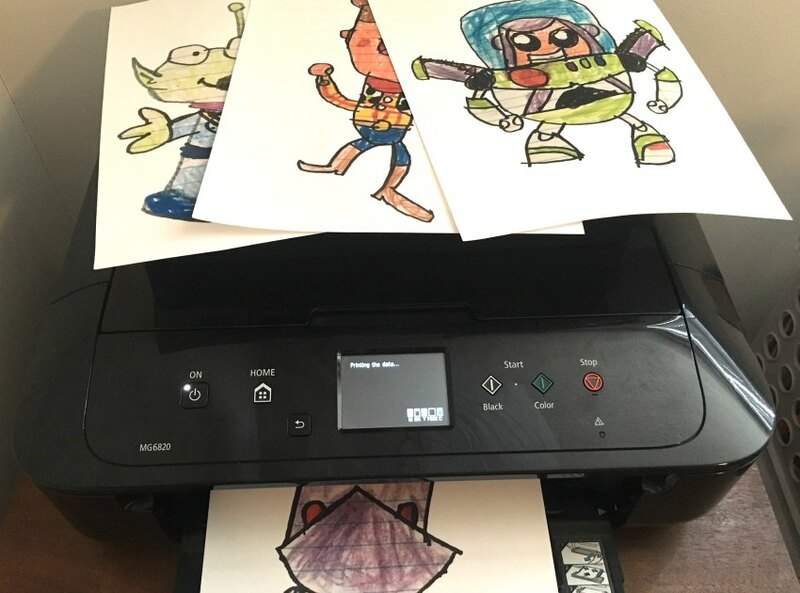 Like I said, my son used some drawing tutorials to create his Toy Story characters. Since then, my older son has freehand drawn some Marvel characters we will use for another set of shirts. How you get your artwork is up to you. You could even do race shirts for runDisney races like the Star Wars Half Marathon! The main thing you want is a bold black outline. It really helps the image stand out and comes in super handy when cutting out your design. Step 2: Take a photo of your child’s artwork. Step 3: Prepare for screen-printing or iron-on transfer sheets. If you plan to use a screen printing service or transparent iron-on sheets, you’ll need to erase around your image so the edges don’t show after you cut it out. This was what our plan was originally and my husband painstakingly used the erase function in gimp (free) to get the images print ready. Sadly, when we tried to order the shirts, we couldn’t do it because of copyright issues. Bummer since we aren’t planning to sell them but I understand. We went with option B, but I couldn’t find transparent iron-on sheets anywhere so we went with white. This meant all I had to do was cut around the bold black outline, which was super easy. Step 4: REVERSE your image. This is especially important if you have any writing or numbers on your artwork. Make sure it prints the mirror image of what you want to see so it will be legible when you turn it over to iron on. Step 5: Print your artwork according to the package instruction on your iron-on transfer sheets. Typically these ONLY work with inkjet printers, so make sure you have the right paper for your equipment. Step 6: Iron on your art according to the package instructions and make sure to let the items cool before trying to peel the backing paper off. For t-shirts, I ordered French Toast tees for the boys, and Hanes for me and my husband. Fist bump to Amazon for having tall sizes! Boom! 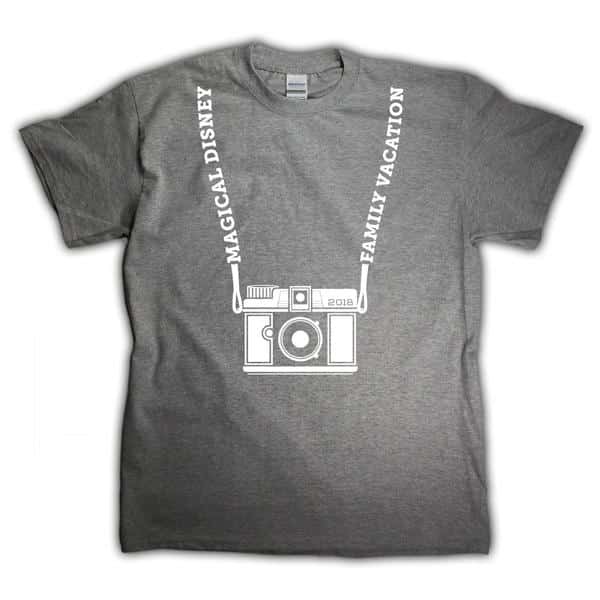 You now have amazing and personalized custom shirts for your Disney loving family. I have to say, it’s been years since I used iron-on transfers and they have come a long way. I was really disappointed when I realized we couldn’t screen print because I worried the images would look shiny once we ironed them onto our shirts. But that wasn’t the case at all. I love the way these Toy Story shirts turned out and we are totally ready for our Toy Story Land debut in just a few days! Now that we collaborated on these Disney family shirts together, my wheels are turning with ideas for our next project. To infinity and beyond! We had the best time wearing our new shirts to Toy Story Land. We got stopped left and right by Guests and Cast Members alike asking where they could purchase them. It was so much fun to tell everyone that our youngest actually drew the artwork! He was beaming with pride and so were we. 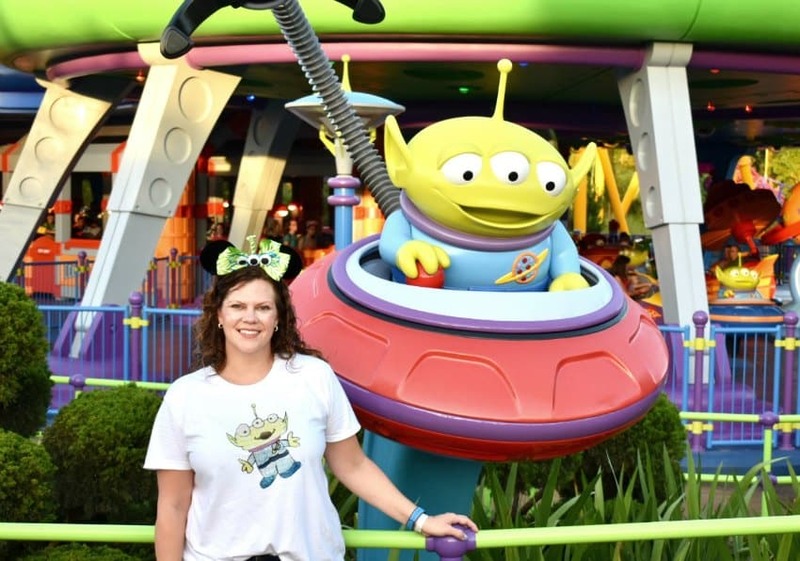 Custom Disney family tees are awesome at a place like Toy Story Land because not only do you coordinate with each other, you are camera ready for about abillion photo ops! I had the best time walking around taking photos in our shirts. There are SO many amazing details in Toy Story Land. I wanted to capture them all! I love the idea of making your own custom tees for a vacation. It’s such a personal way to get the whole family involved. 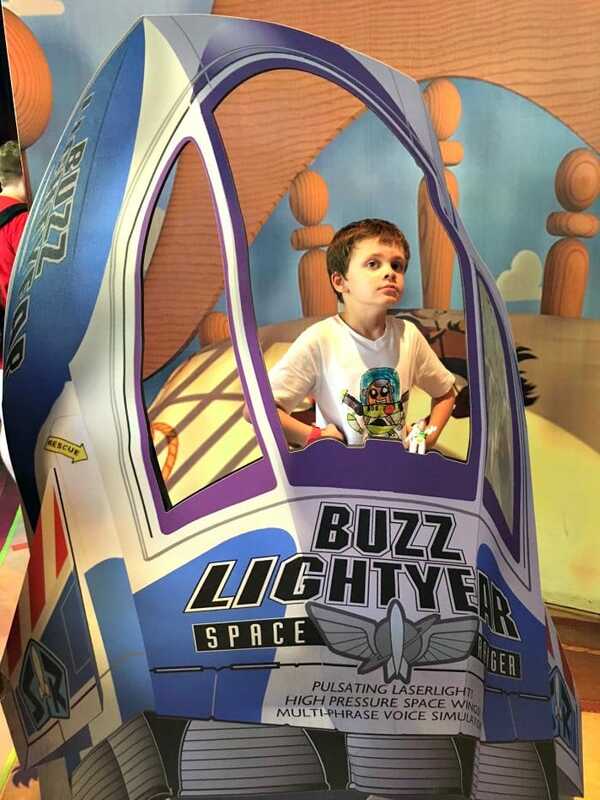 Our morning at Toy Story Land is one of our favorite vacation memories! If you need more ideas for cute Disney family shirts, I found a few other options to check out! Here are a few of my favorites. These Easy DIY Bleached Shirts with a Mary Poppins theme from Play Party Plan are adorable! Or if you have a Cricut, check out these Beauty and the Beast DIY Shirts too. As you may have guessed, Etsy is another treasure trove of opportunity where you can have shirts made or simply order iron on transfers to add to your own shirts if you want to get in on the DIY action. 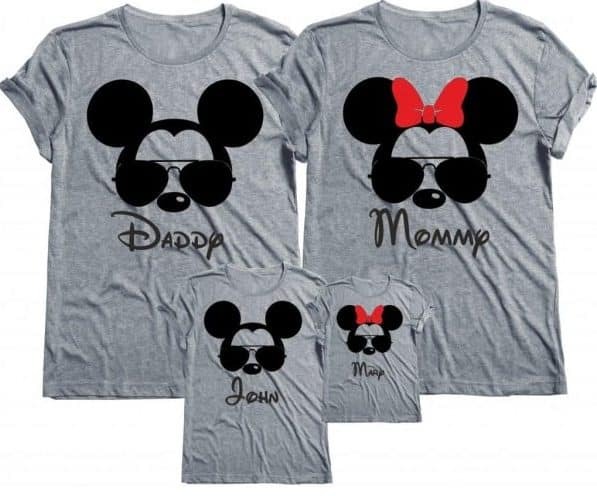 I’m loving these Mickey and Minnie wearing shades decals from Family Shirts Co! If you dive into the Etsy pool though, plan to spend some time there. There are SO many great designs it will be hard to choose! Making your own Disney Family shirts is fun but maybe it’s not your thing or there just aren’t enough hours in the day. Not to worry! 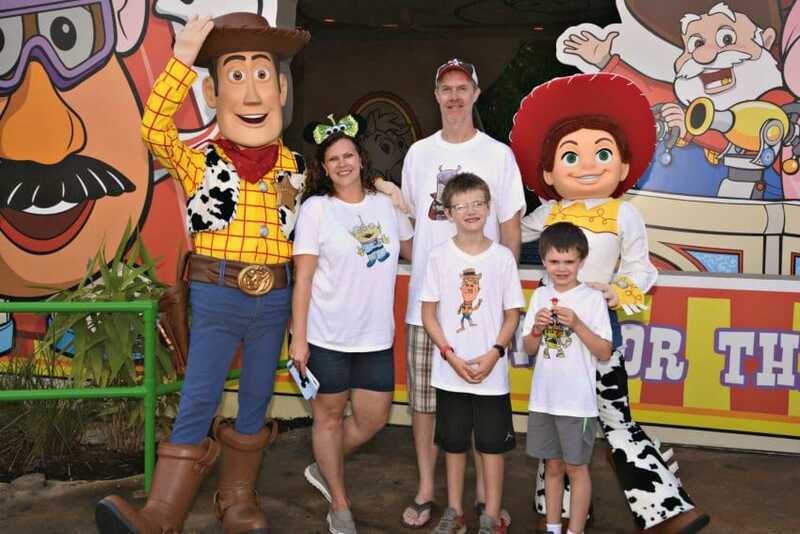 There are lots of fun ways to match or coordinate shirts with your family at Walt Disney World. One of my favorite matching shirts moments was at Mickey’s Not So Scary Halloween Party in 2017. Our shirts were all purchased from the Disney Store and I love that they coordinate without being identical! If you are visiting Walt Disney World for a holiday, be sure to check the Disney Store for options ahead of time. 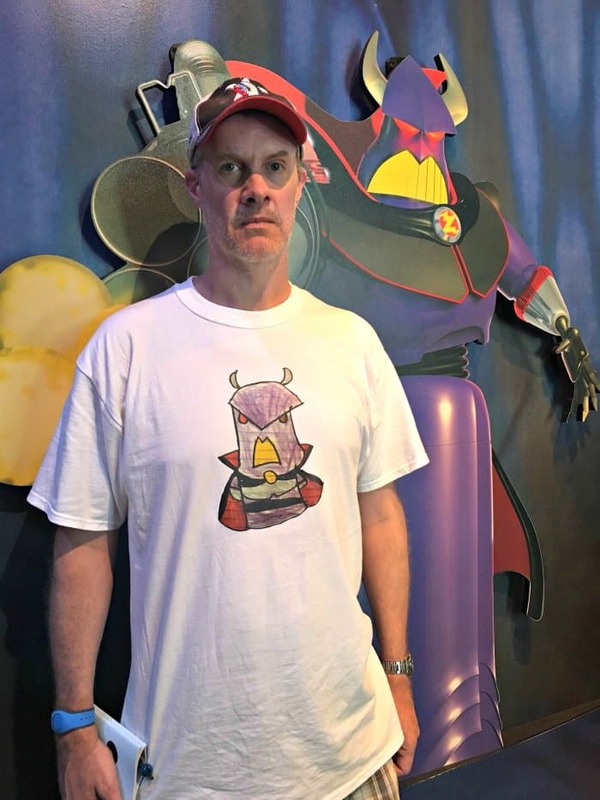 If you need a large number of Disney family shirts for a reunion or class trip, the folks at Celebration Shirts do amazing work and have tons of pre-made and custom options. I really want to use them for our upcoming cruise this fall. I’ve been admiring the Say Cheese shirt for a while now and I think it’s a great and subtle design my family would want to wear even after vacation. 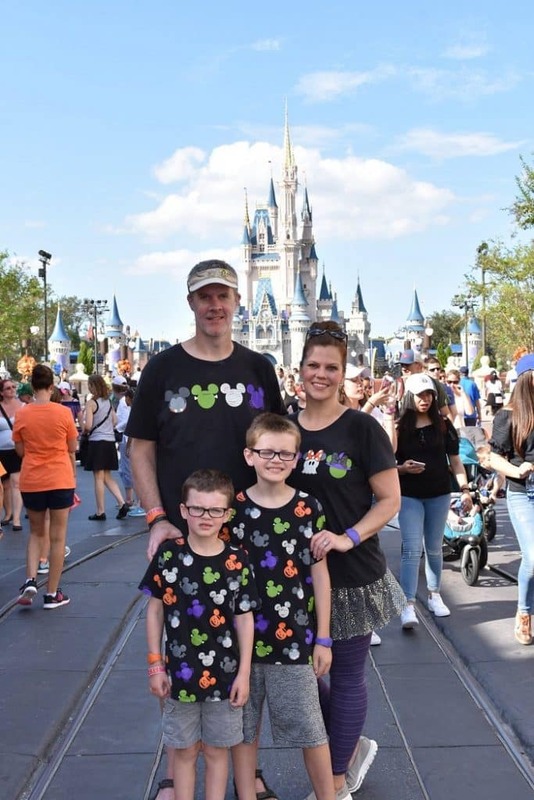 Whether you make your own, buy new or have custom Disney family shirts made, planning for the magic is half the fun of a Walt Disney World vacation! Good luck on your journey and here’s to making memories! These are super cute! What a fun idea. Thank you! And it was super easy. I am sure we’ll do it again! Love these! Such a cute idea for park shirts because they are so unique and a treasured memory! Thank you! We had so much fun making AND wearing them!